5 things you can do in Cusco for free! There are different providers of “Free Walking Tours” in Cusco, they all offer more or less the same service. You won´t be able to miss them, just go to the main square Plaza de Armas, they usually wear bright-colored shirts and get their groups together there. It is a good way to get to know Cusco, to find some hidden spots – you could say it is a “off-the-beaten-track” city tour, which usually ends in a bar with some sort of tasting. Everybody has heard about Sacsayhuaman, right? 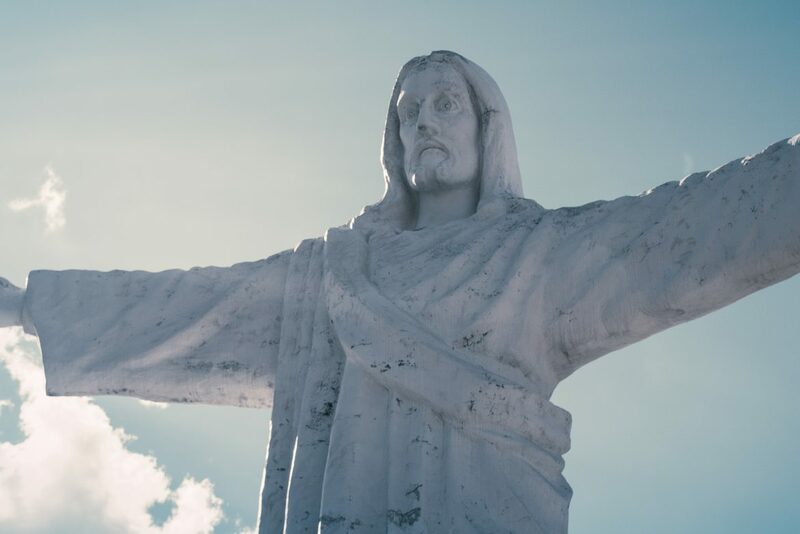 The 26 feet tall statue of Jesus Christ is just a few walking minutes from the site. It was a gift from Christian Palestinians, who had been accepted as refugees in Cusco in 1945. From there you have a wonderful panoramic view over the whole town! You can take a nice hike up there, from the city center it takes about 40 minutes and you can just walk in the same entrance as to Sacsayhuaman – but for free as you don´t set foot on the archaeological site. You want to feel the rhythm and dance salsa? Then you are right in Cusco, many clubs offer free salsa classes before the real night life starts. Usually between 9 – 11 pm. Of course you can stay after class to practice . . .
Before you go to your dance class, go over the main square and you will get haunted by people wanting to give you vouchers for free drinks – take them and enjoy! You don´t have to pay a lot of money to admire Inca architecture – how about the twelve-angled-stone? It is on a narrow street called Hatun Rumiyoc, on the way to San Blas coming from the main square. The rock was part of the Inca palace Roc´a and is now in the wall of the house of the palace of the Archbishop. On the wall around the corner are designs of animals: serpent, llama and guinea pig – important animals for the Incas. You want to see the Cathedral – the beautiful artwork, fine pieces of colonial craftsmanship? But you just want a peak and not pay for it? Just go to a service and then it is for free – it is as easy as that!